It has been a week full of emotions. Take a look at all the reports and results. 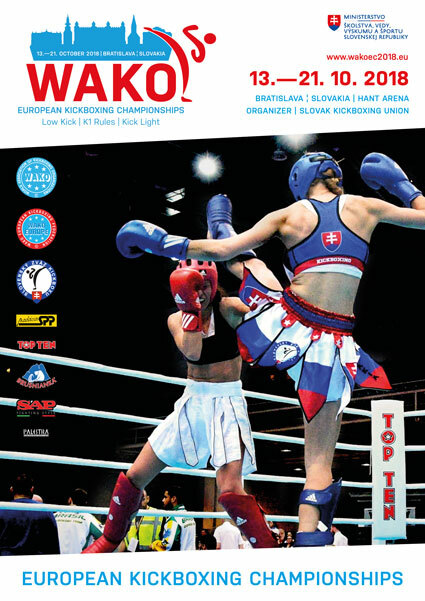 The competitions at the WAKO Kickboxing European Championships 2018 for LK, K-1 and KL, held in Bratislava, have come to an end. On Sunday, October 21st 2018, all the delegations leave to return to their home countries. 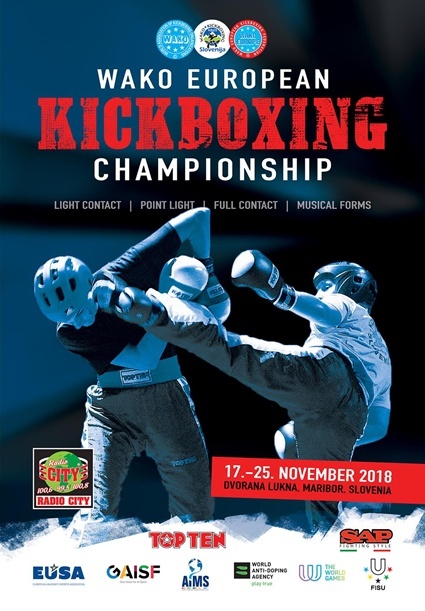 It is my pleasure and great honour to invite you to take part in WAKO European Championship in Point Fighting, Full Contact, Light Contact and Musical Forms which will be held in Maribor, Slovenia from 17th to 25th November, 2018. Attached you can find Official Invitation with all important information about the Championship. Official Invitation you can also find on both WAKO Europe and WAKO IF web pages. Looking forward to see you all in Maribor! Hereby the link for the fights of tomorrow. All fighters on the running order for the ring has to weigh in at 7:00. The running order can be downloaded on Sportdata at the download page of the event. Please pay attention that there will be some categories in fighters that have two fights on one day. Also you can check on draw records the fight numbers for the whole event. The opening ceremony will at 10:00 and we ask all teams to be there with the whole team. From each country we will need 3 fighters to be participating in the opening ceremony. Please be in the sportshall at 9:30.